Cyber crimes have seen a huge improvement in their technological prowess in the last few years. In fact, as every year passes, we are witnessing newer and stronger cyber threats that can affect almost anyone. To counter the attacks in cyberspace, huge financial and technological investments are being made in the cybersecurity. Despite the innovations in cybersecurity, several studies in the past have pointed out that the majority of internet users are not properly aware of cyber threats in today’s world. Considering that almost half of the world’s population has internet access today, it is actually quite alarming. However, this scenario is quickly changing as more people are concerned about their safety and the security of their data online. Cyber attacks have been making major news in recent years. From the alleged hack by Russian hackers to influence the 2016 Presidential campaign and election to the very recent breach in Facebook which left private data of about 50 million users exposed, there have been too many hacking attempts to talk about with most of them being successful. From applications that we download from the app store to our credit cards and personal computers, everything is prone to hacking attempts these days and none of us are safe unless proper precautions and security measures are taken. These threats have finally made the public aware of the importance of cybersecurity in 2018. 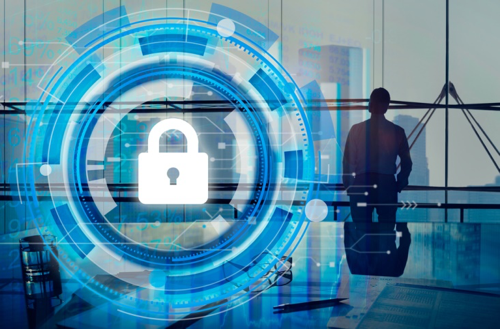 Even businesses that haven’t built a proper cybersecurity system for safeguarding their user data in the past are now making major investments to secure their data and system from any possible intrusion attempts. Just creating awareness isn’t, but there are proper cybersecurity measures that can be implemented easily and effectively. Below are some tips that you can follow in order to make sure that you have a proper strategy to secure the data in your home and business. Make Use of Antivirus Software or Cyber-Security Platforms:For the general public, an antivirus software from a reputed and experienced developer is one of the best tools in detecting and responding against any sort of cyber attacks. In the case of businesses, there are many cybersecurity platforms like IT Support Los Angeles that provide tailored cyber security solutions for businesses.Choosing an antivirus software or a cybersecurity platform in 2018 should be no challenge as there are many options to choose from that fit the different budgets and requirement constraints. Train Yourself and Others to Detect Common Cyber Threats and AttacksIn most cases, cyber attacks happen as a result of a human error of some sort. In the most basic level, it is important to educate yourself and others around you about some very common forms of cyber attacks that almost all of us face.These include phishing attacks, malware attacks, email-based cyber attacks and so on. Remember, hackers regularly attack weak victims to ensure a higher success rate. Be Aware of the Applications and Permissions:With millions of applications available for both Android and iOS, it is quite hard for both the platforms to discover all of the applications that are infected with any sort of malware or security threats. Therefore, it is really important to install applications only from credible and trusted developers and keep away apps that are coming from relatively unknown developers.Moreover, it is also important to be aware of the permissions asked by applications that are installed on your device. Most of the applications available for both the platforms ask for unnecessary permissions for no particular reason. To cut this issue down, the latest version of all major operating systems allows users to control permissions granted to individual apps. Use Strong Passwords Everywhere:This may sound like an old-age cybersecurity tip, but passwords are still the first-level of security that you have against any cyber attacks and is also the most effective one in most cases.A strong password in 2018 is a combination of capital and small letters, numbers, and symbols. Even though most platforms only require you to set a password that is 8 characters long, an ideally secure password should have a combination of characters that are at least 10 – 12 characters long. Cybersecurity is going to play a very important role going ahead, not just in safeguarding users information, but also in securing confidential government data. To make sure that you are secure, it is really important that you start taking cybersecurity seriously and take proper precautions and security measures to protect yourself from any possible online attacks. About Author: Arpita Arya, is the Co-founder of LinkOceans.com. She has been in the digital marketing industry for the past three years and contributed her expertise to various brands over the web. She has gained great experience and skill set in content marketing and improving website’s traffic through cross-promotion. Are you wondering how you can increase your follower count organically on Instagram?